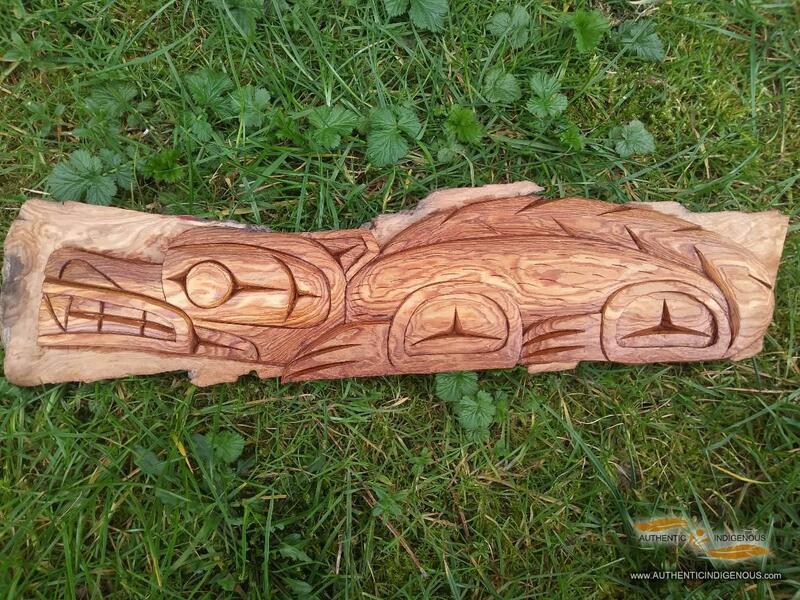 Elliot Joseph specializes in almost every traditional style of cedar artwork around. 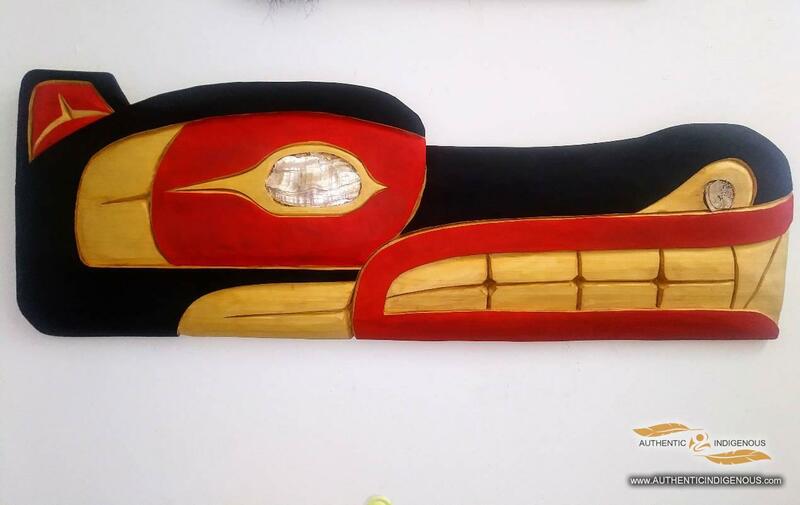 Galleries all across the lower mainland hold many of his pieces. 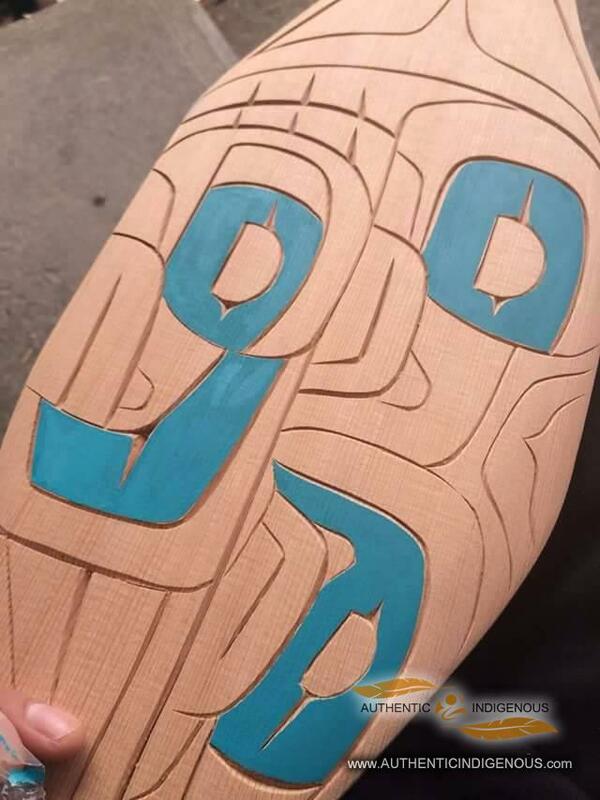 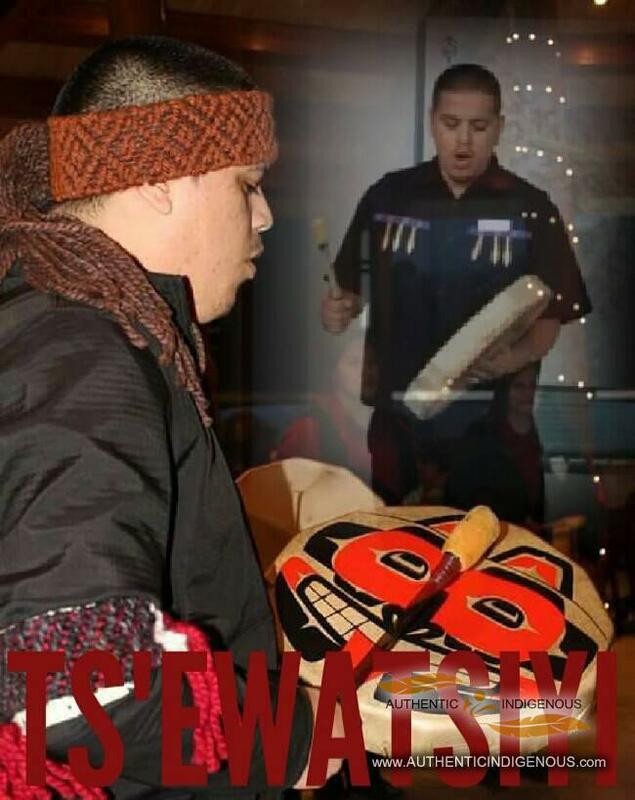 ELLIOT JOSEPH (TS'EWATSIYI) IS A SKWXU7MESH UXWUMIXW (SQUAMISH NATION) ARTIST WHO COMES FROM A WELL KNOWN FAMILY OF ARTISTS ON THE LOWER MAINLAND. 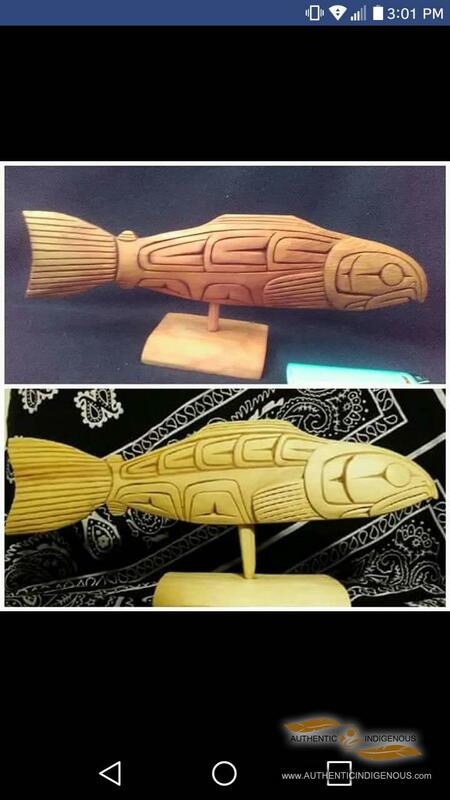 HE FIRST LEARNED TO DRAW ALMOST 20 YEARS AGO AND LEARNED THE TECHNIQUES OF COAST SALISH ART AT A VERY YOUNG AGE AS HE WATCHED HIS FATHER MASTER CARVER BRADLEY JOSEPH SR. 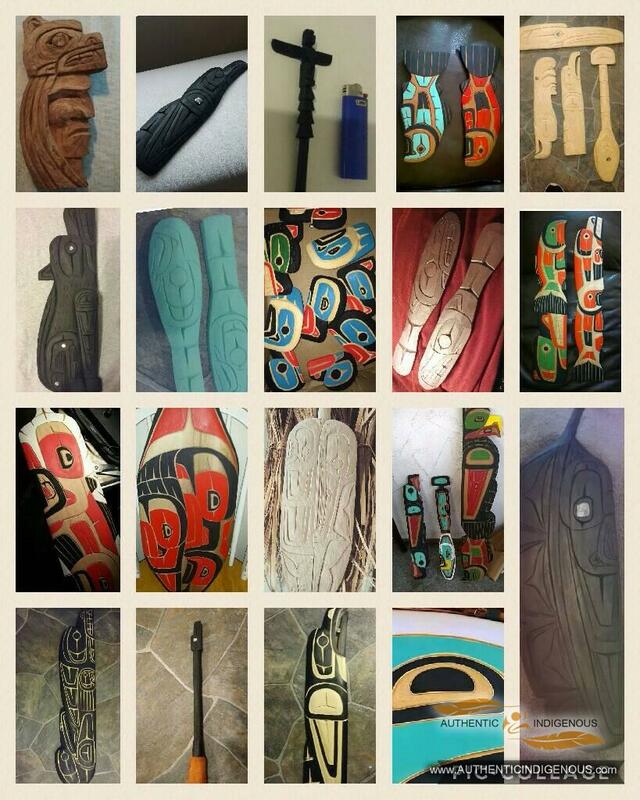 CARVE ON A DAILY BASIS. 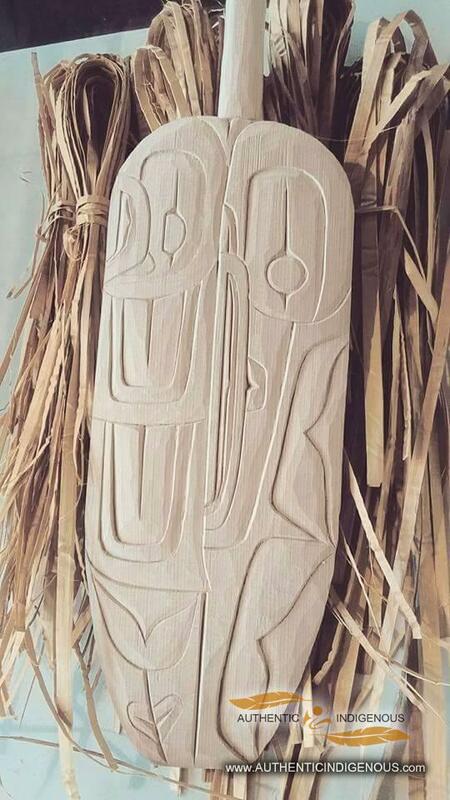 HIS STYLE WAS CREATED FROM THE SKILLS AND KNOWLEDGE HIS FATHER HAD TAUGHT HIM AND FROM FREQUENTLY WATCHING HIS FATHER AND UNCLES CREATE MANY DIFFERENT PIECES. 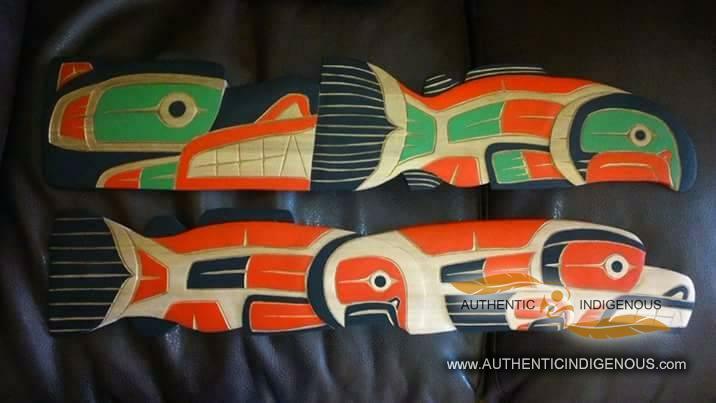 ELLIOT STARTED WITH DRAWING AND LEARNED TO MASTER THE SHAPES AND COLOURS OF THIS GIFT THAT WAS PASSED DOWN FROM GENERATION TO GENERATION. 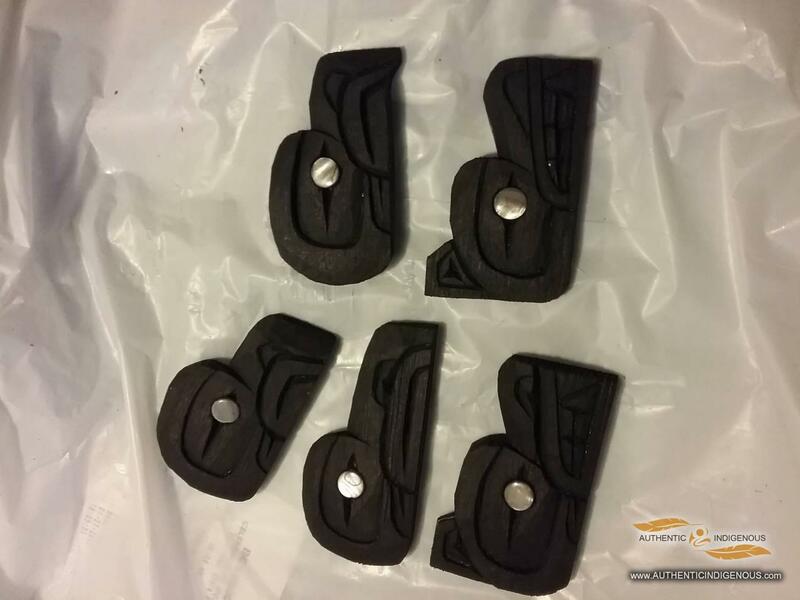 HE HAS WORKED ON MANY DIFFERENT PIECES FROM FAMILY MEMORIAL TOTEMS, CANOES, PADDLES, TALKING STICKS, PLAQUES, MASKS, HOUSE POSTS, AND OUTSTANDING SMALL PENDANTS. 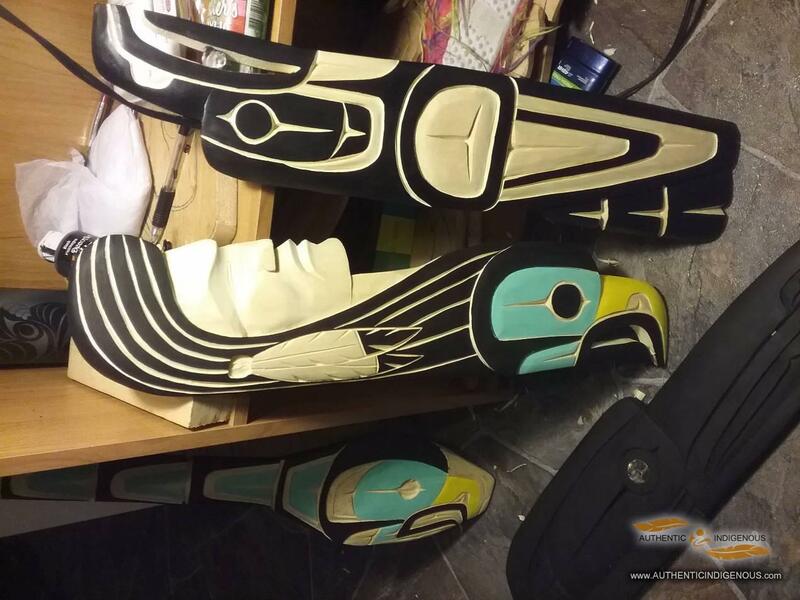 FROM LEARNING AT A YOUNG AGE TO BECOMING ARTIST OF THE YEAR IN 2006 NORTH SHORE NEWSPAPER FOR PAINTING TWO STYLES OF TRADITIONAL PADDLES, ELLIOT HAS EXCELLED MAJORLY IN THE ART WORLD. 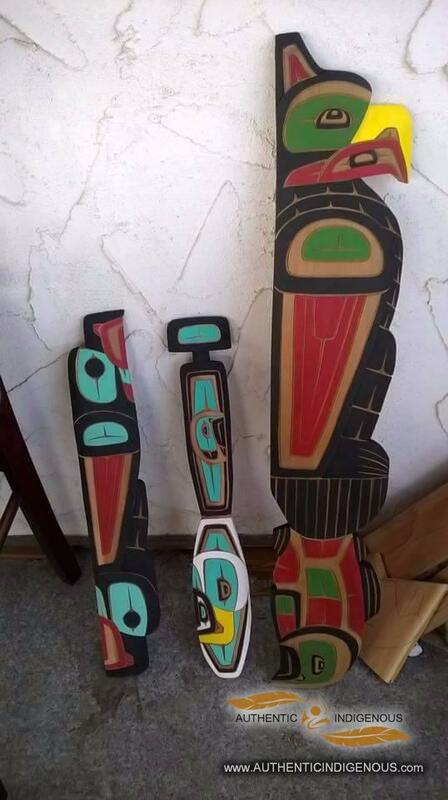 THE STYLE HE IS CARRYING IS INHERITED FROM HIS JOSEPH FAMILY AND TO THIS DAY YOU CAN FIND HIS ARTWORK ACROSS CANADA THE USA, AUSTRALIA AND THE UK.